At this month’s 2012 Paris Auto Show, Mitsubishi will take the covers off the long-awaited plug-in hybrid version of its recently revealed 2013 Outlander crossover. First hinted at in 2009 with the Concept PX-MiEV, Mitsubishi’s plug-in hybrid Outlander, which is labeled the Outlander PHEV, will go on sale next year where it will join other pioneering vehicles from the Japanese automaker such as the i electric car. As the internal views reveal, the Outlander PHEV feature a permanent four-wheel drive system capable of being powered solely by electric motors, but with a gas engine serving as backup. The design features a single electric motor and four-cylinder gas engine mounted to the front axle, and a second electric motor on the rear axle. Three separate driving modes will be available to users: EV, Series Hybrid and Parallel Hybrid. 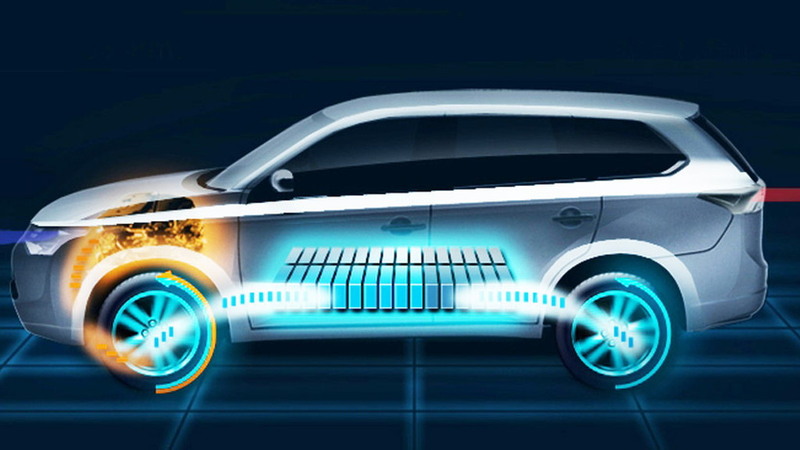 In EV mode, all driving is done exclusively with the electric motors. 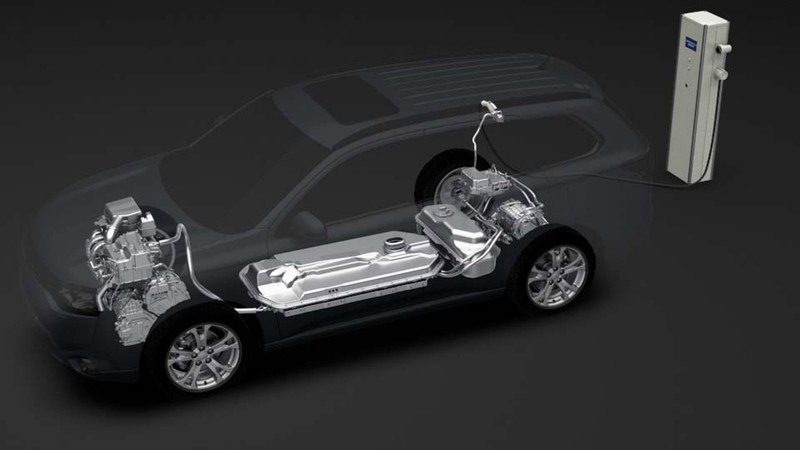 In Series Hybrid mode, the engine acts primarily as a range-extender, though will send power to the front wheels during high-load situations. Finally, in Parallel Hybrid mode, the gasoline engine provides most of the motive power and is assisted by the electric motors as required. 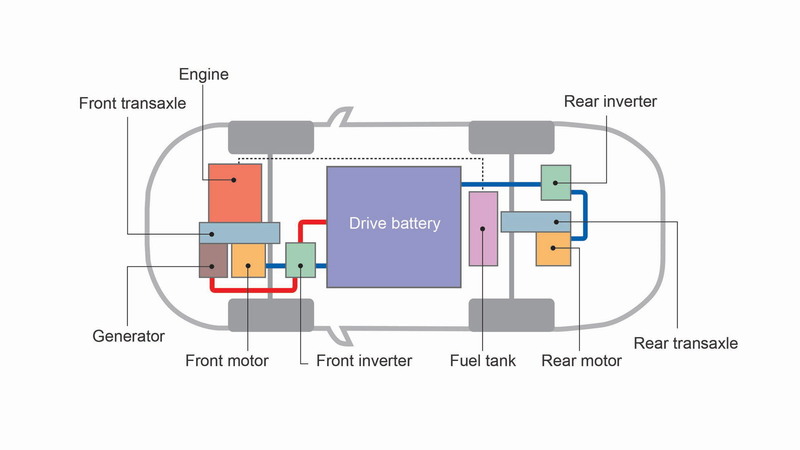 When fitted to the Outlander, the system will allow for a long haul range and very low emissions similar to that of the Concept PX-MiEV II, i.e. a driving distance of around 500 miles with the batteries charged and the gas tank filled. The targeted economy of the vehicle is an astonishing 143 mpg, with overall performance said to be comparable with that of a 3.0-liter gasoline V-6. The battery is a 12 kWh lithium-ion unit, which on a full charge affords the Outlander PHEV an electric-only driving range of about 34 miles. The gasoline engine is a 2.0-liter four-cylinder unit with MIVEC, Mitsubishi’s variable valve timing system. Probably of most interest to performance fans, the permanent four-wheel drive system in the Outlander PHEV has been integrated with Mitsubishi’s well-proven S-AWC (Super All Wheel Control) vehicle dynamics control system, which features in cars like the high-performance Lancer Evolution X. Mitsubishi says the electric four-wheel drive system is superior to mechanical setups as it has less frictional losses, better response, finer control and instantaneous torque. Basically, there’ll be some variation of this system in a future Lancer Evolution XI, something that’s already widely speculated. 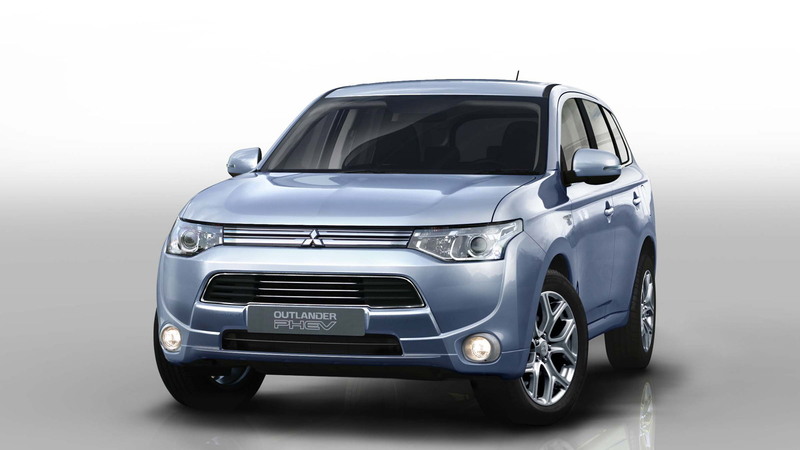 As for the Outlander PHEV, it goes on sale in Japan in early 2013 and should arrive in the U.S. later that same year as a 2014 model.